Located in the heart of Europe, France is one of Europe’s most culturally fascinating countries with historic traditions and breathtaking landscape. Astonishingly aged wine made from grapes growing in picturesque vineyards, cosy cafes serving some of the best cuisine in the world, beautiful sunny beaches with glistening white sand and some of the most daunting yet stunning mountain slopes covered with white blankets of powder snow. These are some of the images we think of when France comes to mind, and they are all completely true images that are easily found when travelling to France. When it comes to the French people, the atmosphere slightly alters. The French are renowned around the world for being impolite, stubborn and generally unfriendly to people they don’t know. Unfortunately the bulk of these accusations appear to be true. In essence, the French love the French. They tend to get irritated when helpless tourists or foreigners living there, speak in English to them. So if you are planning on moving to France, you should brush up on your Francais. France receives the highest number of tourists per year, largely thanks to the numerous cultural establishments and historical buildings implanted all over the country. It counts 1,200 museums welcoming more than 50 million people annually. The most important cultural sites are run by the government, for instance through the public agency Centre des Monuments Nationaux, which have around a hundred national historical monuments at charge. The country itself is economically quite stable. 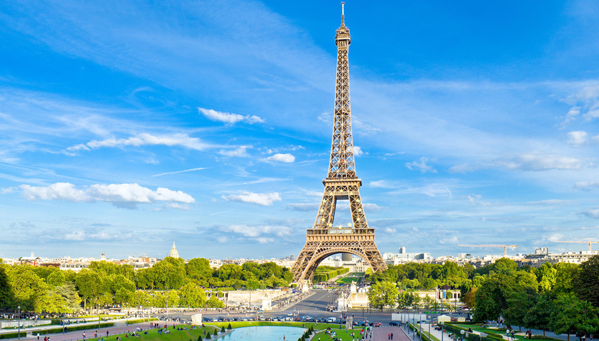 With a GDP of €2.58 trillion, France is the world’s fifth-largest economy. It has substantial agricultural resources, a large industrial base, and a highly skilled work force. A dynamic services sector accounts for an increasingly large share of economic activity and is responsible for nearly all job creation in recent years. Government economic policy aims to promote investment and domestic growth in a stable fiscal and monetary environment. Creating jobs and reducing the high unemployment rate has been a top priority. France joined 10 other European Union countries in adopting the euro as its currency in January 1999. Since then, monetary policy has been set by the European Central Bank in Frankfurt. France has been very successful in developing dynamic telecommunications, aerospace, and weapons sectors. According to a Google-commissioned McKinsey study, 25% of French growth is attributable to Internet-related products and services. Despite significant reform and privatization over the past 15 years, the government continues to control a large share of economic activity: Government spending, at 56.2% of GDP in 2010, is among the highest in the G-7. The government continues to own shares in corporations in a range of sectors, including banking, energy production and distribution, automobiles, transportation, and telecommunications. Hi, was thinking of moving to France mainly to learn the language but also to earn some money to go travelling! Can anyone give some advice on what would be the best area to move to short-term? Thanks! If your French is good enough to be around other French citizens, then bars, cafes and restaurant work is easiest to get part time work. Thanks so much for comment! I found it really informative and you provided me with a lot of great options there, some like the TEFL course that I would be really interested in doing but had actually never even crossed my mind. A big move like this is difficult enough personally without having to worry about what it is i'm actually going to do there, but now feel the weight has lightened a lot. Will be sure to check out all your links.